Ferrari insist their surprise poor performance at the Australian GP did not show the "real potential" of their 2019 F1 car. The Scuderia were most experts' tip to set the pace at the season-opener after an impressive winter of testing but their Melbourne weekend fell flat with their SF90 surprisingly not at home around Albert Park. Ferrari's drivers finished only fourth and fifth in Sunday's race - a minute behind Mercedes race winner Valtteri Bottas. "It's not what we were expecting. Winter Testing was certainly different," admitted team boss Mattia Binotto. "Since Friday P1 we never found the right balance on the car and we struggled with the tyres. "We tried different set-up approaches during the weekend but we never concluded with the right balance. "The performance [in the race] is simply reflecting what we had in qualy as well." 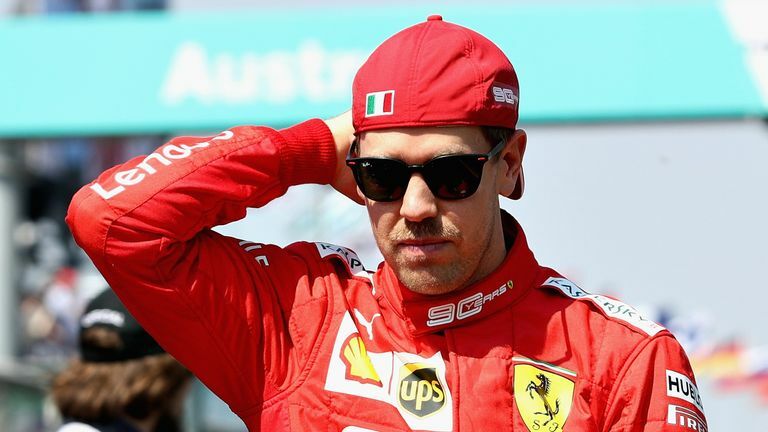 Ferrari's Sebastian Vettel says the team haven't explained why the car suffered from a lack of pace in the season-opening Australian Grand Prix. While investigations into the unexpected performance slump were already ongoing at the track and back at their Italian headquarters, Binotto said it was "too early to have a proper judgement". "Do we understand that yet? Probably not, so we need to analyse the data and try to asses what really happened," he added. But one thing was clear from Ferrari's lengthy post-race media debrief: the huge promise of pre-season has not suddenly evaporated. "One thing for certain is that this weekend is not the real potential of our car," said Binotto. "We are pretty sure that the potential is certainly bigger." Sebastian Vettel, who finished as their lead car in fourth, added: "I'm sure we will find something because we know the car is better than what we've seen. "We know we have a lot more potential to unleash." While clearly not the start to their championship challenge the Italian team had anticipated, Binotto believes that Melbourne represented "a good lesson learned". He predicted: "If we can identify what the issue was we can be back even stronger". Vettel added: "In Barcelona we were very happy with the car from day one. The balance was right, the car was responding to what I was asking it to do, and I had a lot of confidence. "All weekend I didn't get that confidence I had in Barcelona so I didn't have the car underneath to play around and it wasn't doing what I was asking. There were glimpses here and there that were really strong and our performance in some corners was really good. But in the majority of corners it wasn't and that's why we were slower than other people and lost out [in qualifying] as well as today."